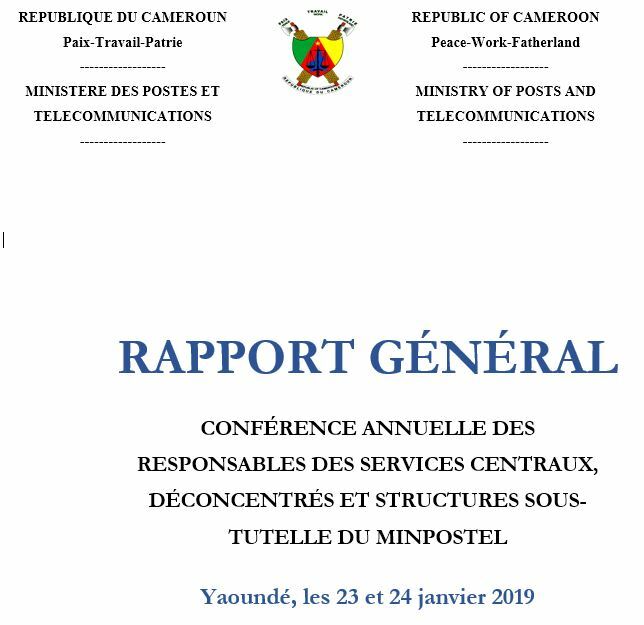 The Minister of Posts and Telecommunications presided last Friday September 21, 2018 at the Central Post Office in Yaoundé, the inauguration ceremony of SUP’PTIC incubator dedicated to digital enterprises. 150 million FCFA is the donation by the State to SUP’PTIC BUSINESS ACADEMY for the realization of its development plan in the coming years. The official inauguration ceremony of the incubator of the National Advanced School of Posts, Telecommunications and Information and Communication Technologies – SUP’PTIC, was presided over by Minette LIBOM LI LIKENG, Minister of Posts and Telecommunications, in the presence of the minister of Finance, Louis Paul MOTAZE and other government representatives at the esplanade of the PKI Building. SUP’PTIC is the instrument put in place by the State for the training of professionals in the post and digital communication sector, with a remarkable entry of ICT as specialization field. The President of the Republic Paul Biya in his address on February 10, 2016, invited the nation to massively support the numerous youth initiatives in the digital sector, giving directives and assigning training institutions with specific missions. Following presidential decree No. 2016/425 of October 26, 2016 concerning the change and reorganization of the establishment, the National Advanced School of Posts, Telecommunications and Information and Communication Technologies has been engaged in the dynamics of restructuring of its training curricula. SUP’PTIC BUSINESS ACADEMY – SBA is now the first of its kind. This incubator has as objective the reception, training, accommodation, as well as the technical, organizational and financial support to innovative project holders in the posts and telecommunications sector. The inauguration ceremony of SBA was accompanied by a handing over of electronic equipment – gift by the Government. Abega MOUSSA, a Computer Engineer in information systems, is the Chief of Centre of SBA. Setting the course of this innovation which comes as an improvement to other incubators already existing in other African countries, he indicates that it will aim “for 2018-2019 to accompany the incubated so that in the next six months we can produce results, then we will need to make known this incubator…”. Speaking during the ceremony, Minette LIBOM LI LIKENG mentions that this incubator comes in as the most complete and lasting solution for startups in the digital sector. “For its development, this digital economy needs well trained actors, to be apt with the international standards and capable of addressing present and future challenges”. This falls in synchronicity with the actions of the Government to support youth initiatives, in accordance with the instructions of the Head of State, in a bid to make Cameroon a digital state by 2020. Open to both SUP’PTIC graduates and all project carriers in the digital sector, SUP’PTIC BUSINESS ACADEMY has 28 projects at hand and can now boast of being a support to young project holders and a creator of job opportunities to young entrepreneurs.